Last month's record flood event in the Tweed catchment resulted in the indefinite closure of the CAG. 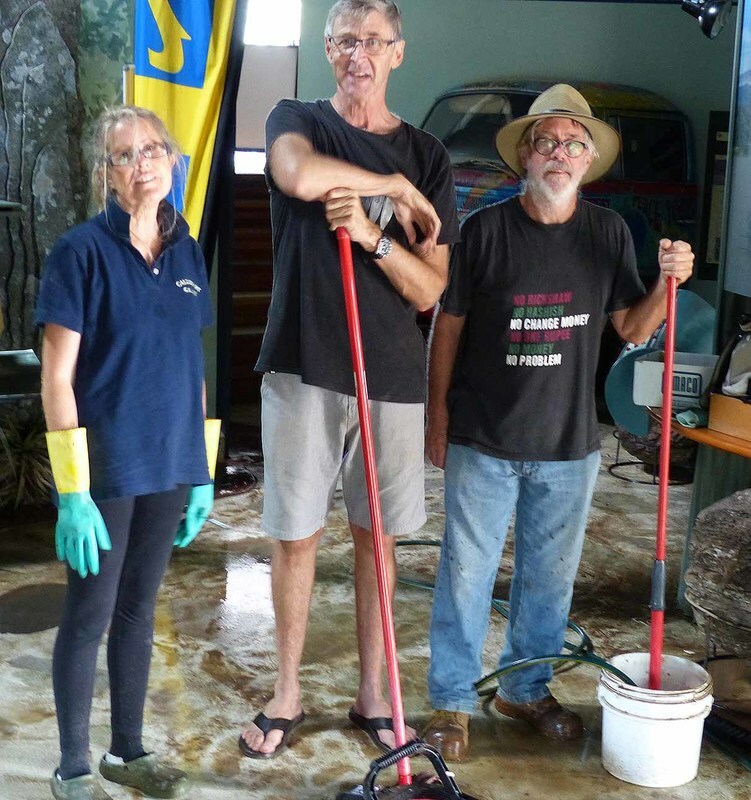 Floodwaters entered the building to a height of 60 cm (just below table height). Fortunately no artworks were lost and most furniture had been moved up into the Panorama room. Eight panels of the Green Cauldron Panorama were dampened, yet unaffected, but had to be removed in order to dry and restore the underlying walls. Many thanks to all who assisted in the clean up, especially Greg Newland. 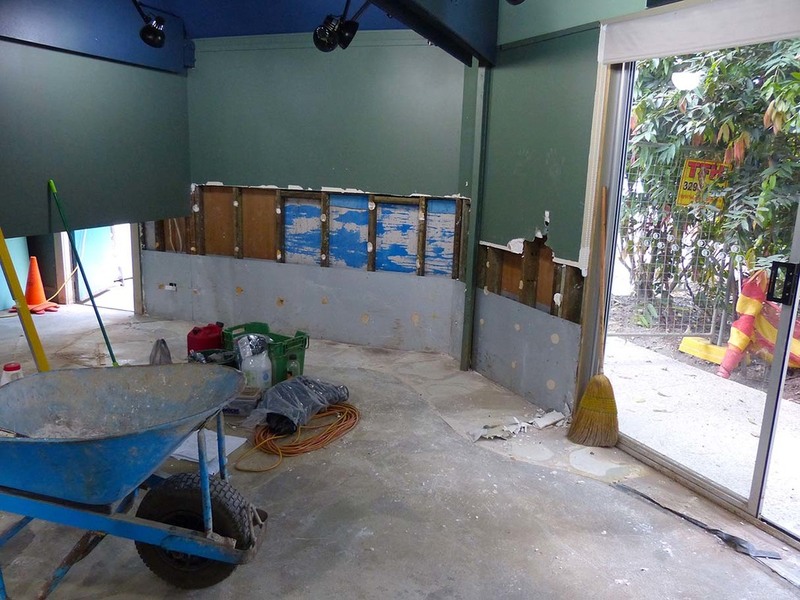 With the entire building in need of extensive remedial work, Tweed Shire Council (in consultation with affected stakeholders) will decide on it's future in the fullness of time. The Murwillumbah Visitors Centre is currently operating from the former railway station diagonally across from the roundabout. Art classes are now back in full swing with tutor Jeff Gant working from his residence on Mondays and Tuesdays while the Saturday session is based in the splendid Fernvale Hall. Just 5 minutes past the Tweed Regional Gallery turnoff, the historic Fernvale Schoolhouse is home to the Murwillumbah Potters group whilst the adjacent hall will now be home to the CA Group (at least until the fate of the Visitors Centre is determined). Beginners as well as 'seasoned' artists are welcome to attend classes which have an emphasis on interpreting the natural environment whilst enjoying the process with like minded folk. ​Caldera art has been fortunate to have had an exhibition in the Tweed Regional Gallery every third year since 2008. Another exhibition is due this year with CA2017 scheduled for September 22 - December 3. With prevailing circumstances surrounding the probable unavailability of the Caldera Art Gallery for the traditional complementary exhibition, along with other existing administrative issues, the selection process for artists participating in CA2017 at the TRG has been streamlined. Council's Natural Resource Management section (major supporters since 2008) and the Tweed Regional Gallery have had input into selecting 6 artists from previous CA exhibitions to each submit approximately 5 artworks for CA2017. Unfortunately, with the closure of the Caldera Art Gallery due to the floods, the CAG will not be on 'the map' this year. ​But this exciting creative event is growing in significance every year with more events, venues and artists participating. ​Please visit the MAT website to see how you can support this special cultural event in the Tweed Shire. 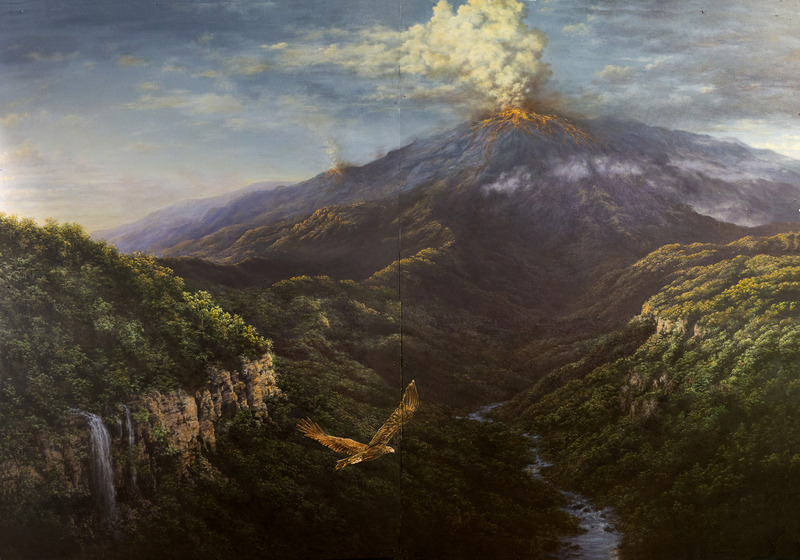 CAG resident artist Andy Reimanis has finally completed his interpretation of the eruption of the Tweed Shield volcano some 20 million years ago. A great deal of research has gone into this depiction in order to visually communicate the generally accepted geological processes leading to the iconic landmarks within the landscapes we cherish today. In the wake of cyclone Debbie, Tweed Landcare is calling for volunteers to help repair some of the Tweed riparian areas worst hit by the flood. Landcare groups and volunteers have spent many years planting trees along the Tweed River and creeks which have now been devastated, especially in the Uki Area. However, some trees can be saved by cleaning off debris, some pruning and particularly tying and staking them up, and mulching. 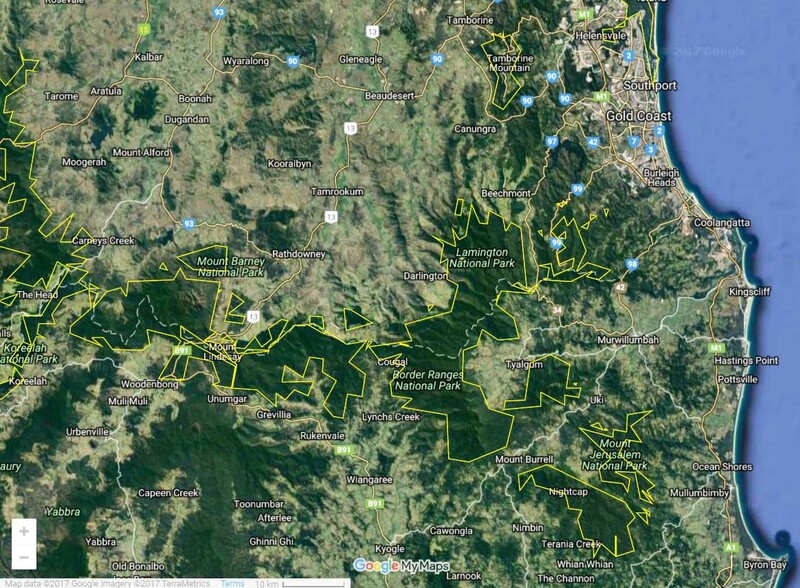 ​Details of locations and times are in the May edition of Tweed Landcare News. 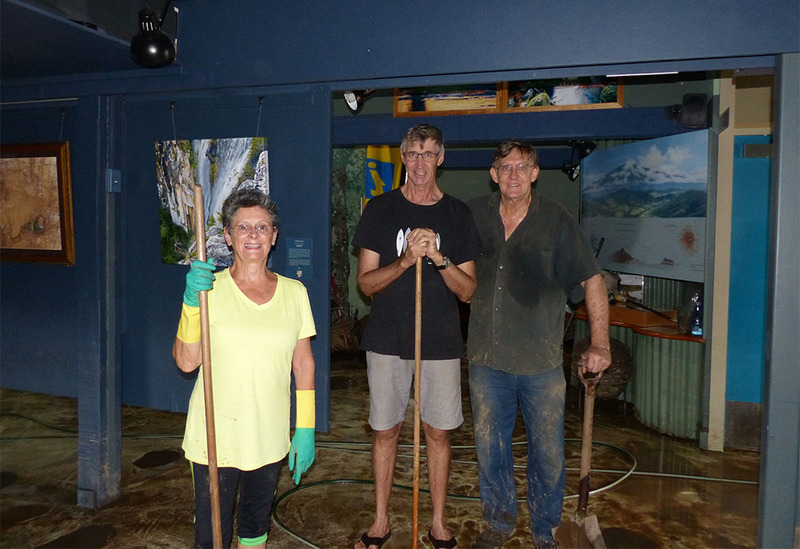 Murwillumbah Visitors Centre volunteer, John McNeill has contributed to our STORIES PAGE with some great images and engaging narrative of his series of photographs of the Pinnacle, and the western escarpment. 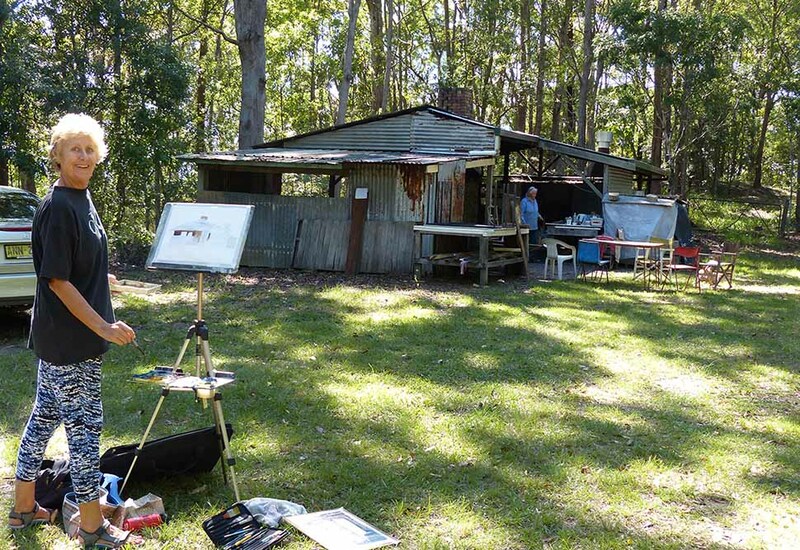 The Open Studios of the Scenic Rim weekends are held annually throughout May, and in 2017, until the first weekend in June, allowing visitors to see artists at work in their studios. Studios are open from 9am to 5pm on the days indicated. Appointments can be made outside these times directly with the artist. Most of the work on display in the studios is for sale, and the majority of artists are able to undertake commissions. Many are available for workshops and artists’ residencies. Open Studios are situated across the Scenic Rim including Canungra, Beechmont, Boonah, Mt Alford, Harrisville, Tamborine Mountain, Lost World Valley and Beaudesert. For details please visit the website. Based in the Uki area, Jennifer has regularly participated in Caldera Art exhibitions over the years and is very passionate about preserving the natural environment values of the Tweed. With thorough research of subject matter, Jennifer's paintings have not only great technical merit but also communicate important biodiversity sustainability issues to the viewer. She has been selected as one of the CA2017 participating artists. ​Much of Australia is spectacular and wild, but there are also places scattered across our island continent that are like no other. Many provide refuge for our most threatened plants and animals, and we often refer to them as 'hotspots' for nature. Until recently, these places had not been identified in any universally accepted way, but in September 2016, a monumental change occurred in the conservation community. A new global standard for identifying, protecting and managing the most important places for nature was adopted by 11 of the world's leading conservation organisations. This standard is known as 'Key Biodiversity Areas'. As you can imagine, the caldera region has it's fair share of KBA's (see link to map). 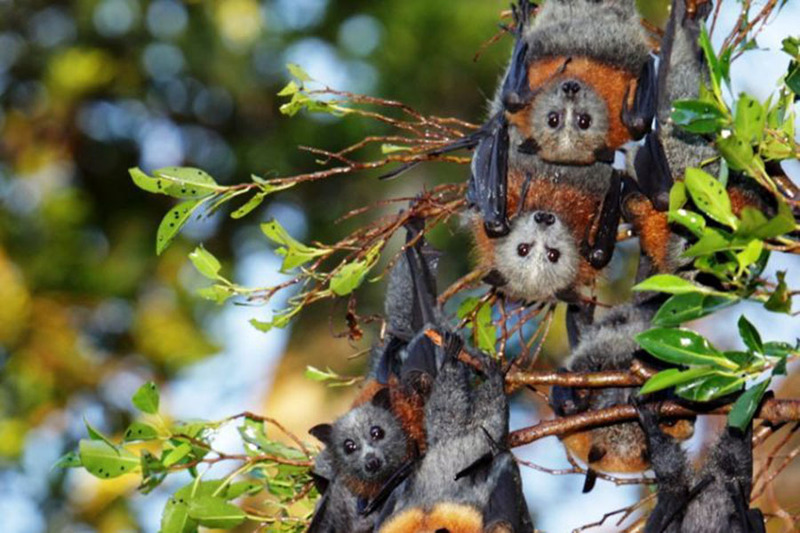 Council has commenced preparation of a management plan for the sixteen active flying-fox camps in the Shire and is seeking input from interested members of the community. Council's Senior Program Leader - Biodiversity, Scott Hetherington said "The intent of the consultation is to listen to people who have information about flying-fox camps. This will mean that we are best placed to develop management strategies for camps throughout the Shire".